Legendary investor Warren Buffett has seen it all in the financial markets. After all, he bought his first stock during World War II. With that kind of long-term track record, the 88-year-old has a special perspective on market sell-offs. Buffett does not believe they are something to be feared, rather they are an opportunity. The “Oracle of Omaha” has a simple long-term value philosophy. For the regular investor, he says you should be a steady buyer of an equity index fund over the long term and be agnostic to the market or economic environment. Buffett believes this simple kind of investing will always pay off over the long term because you’re making a long-term bet on the American economy. Buffett would go on to show he really meant what he said when he put this philosophy to work during the financial crisis, when many investors were panic selling. In October 2008, he wrote an Op-Ed for The New York Times saying he was buying American stocks and other investors should, too. The S&P 500 is up more than 270 percent since he penned that piece. Berkshire Hathaway shareholders benefited from astute investments made by Buffett during the crisis in financial stocks. “You, as shareholders of Berkshire, unless you own your shares on borrowed money or are going to sell them in a very short period of time, are better off if stocks get cheaper, because it means that we can be doing more intelligent things on your behalf than would be the case otherwise,” he told the audience at his annual meeting. 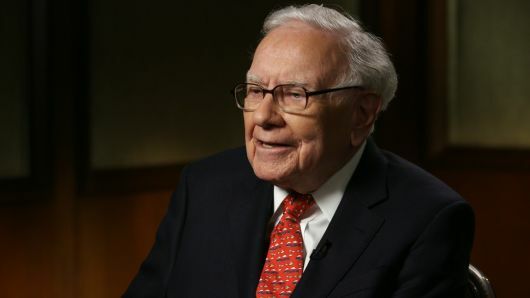 Because of Buffett’s disciplined value approach to buying stocks and other businesses, Berkshire has returned 20 percent annually the last 40 years, double the return of the S&P 500 over that same time span, according to FactSet.